1. Click the Trigger button on the toolbar. 2. 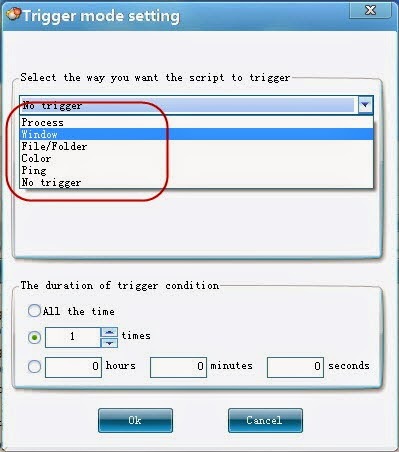 Select the way to trigger a script. 3. Set the trigger event, and then click the Ok button to enable trigger mode. 1. Click the Open button on the toolbar. 2. 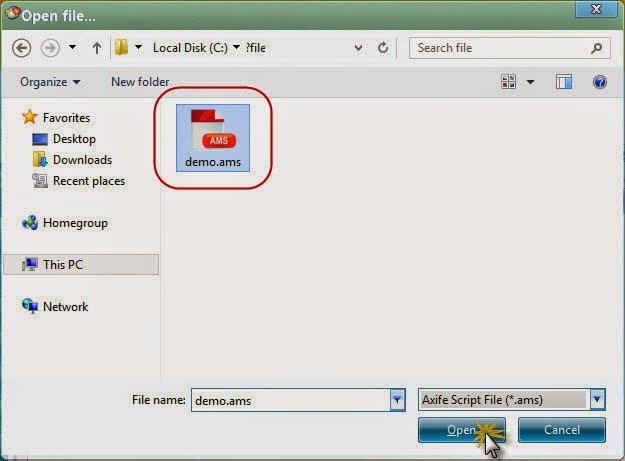 Select a script file you want to trigger in the dialog box and click the Open button. 1. Click the Playback button to wait for the trigger event occurs.